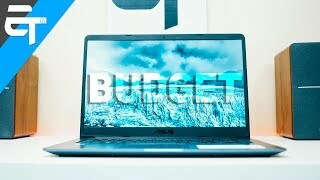 ASUS VivoBook F510UA Thanks to the ultra-narrow 0.3” ASUS NanoEdge bezel that gives an incredible 80% screen-to-body ratio, the ASUS VivoBook F510UA fits a full-size 15.6” FHD WideView display into a 14-inch laptop frame. It’s the perfect solution for sharing content with groups of friends or colleagues. The ASUS VivoBook F510UA comes equipped with a USB 3.1 Gen 1 port with reversible USB Type-C connector with an ‘any-way-up’ design that makes connecting devices simple and quick. USB 3.1 also delivers data transfer speeds up to 5x faster than legacy USB 2.0 connections! With its USB 3.1, USB 3.0, USB 2.0, HDMI, and SD card ports, the VivoBook F510UA supports hassle-free compatibility with a wide range of peripherals, displays and projectors.